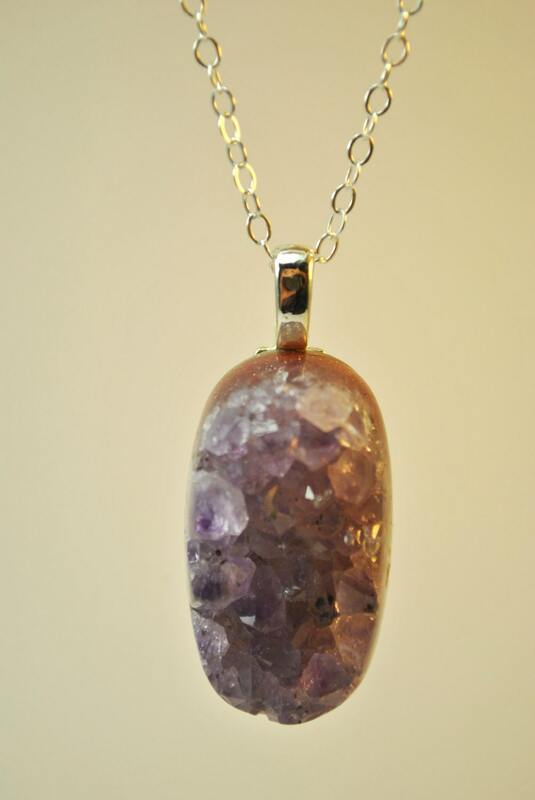 Purple amethyst crystal pendant is suspended on a sterling silver linked necklace. Sterling silver clasp. Amethyst belongs to the Quartz family (SiO2 + Fe), found in Brazil, the United States, Canada, Sri Lanka, and parts of East Africa. Color varies from a deep violet to a pale lavender, almost to the point of being clear. 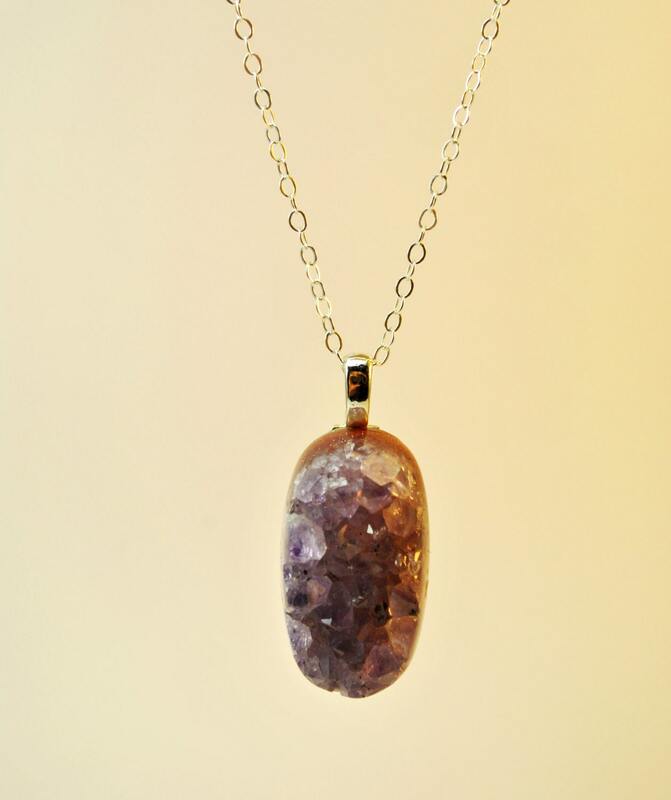 Known as the prize stone since the days of ancient Egypt, Amethyst holds an honored place in the Crown Jewels of England, frequently known as the "Rose de France", a popular jewelry item during the Victorian age and worn by every Pope since the sixteenth century. 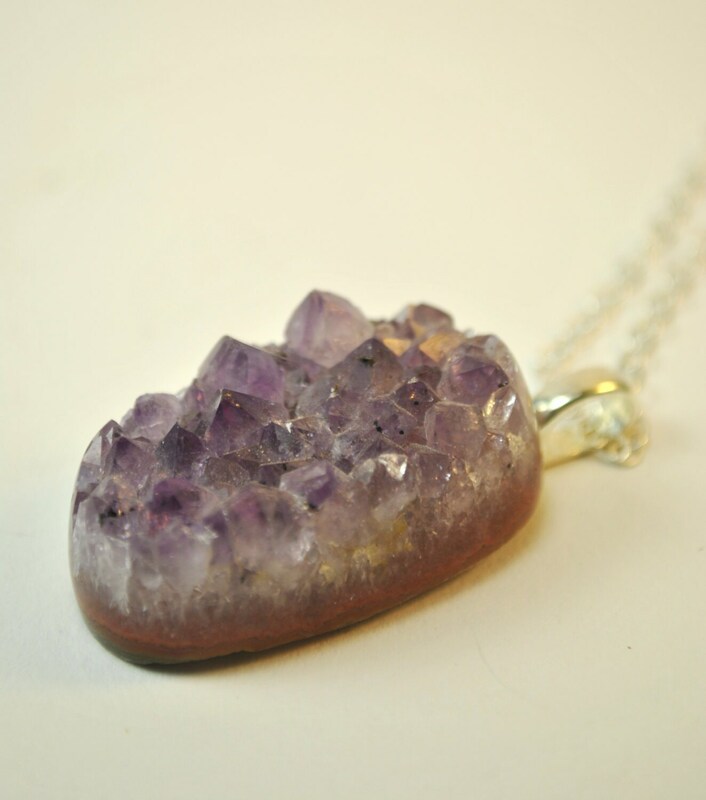 Amethyst is the traditional birthstone for February.